Which Kayak Paddle is best? Over the last ten years, kayak paddles have become less and less important in the world of kayaking – but should it really be that way? Over 80% of kayaks sold are paddling kayaks, and approximately 20% are pedal drive kayaks. Safety is an important consideration. The Coast Guard recommends you always have a paddle with you out on the water, so if you own a pedal kayak and think you don’t need a paddle, you are mistaken. It’s generally a good idea to have an inexpensive paddle stored somewhere in your kayak, just in case – no matter what type of kayak you use. In the past, determining the correct kayak paddle length consisted of standing up next to your paddle with your arm in the air, and making sure the tops of your fingers were even with the top of the paddle. This was true when most kayaks were 24 inches wide, and anglers were seated on the deck of the kayak. Now, paddling kayaks are 34-36 inches wide, and anglers are sitting anywhere from two to six inches or more off the deck. This means the old method of kayak paddle sizing can be done away with. This graphic from NRS illustrates how a high-angle paddler typically keeps the blade of the paddle very close to the side of the kayak, whereas a low-angle paddler has a more outside paddle stroke. In terms of kayak paddle sizing, this means a high-angle paddler will typically choose a shorter paddle, while a low-angle paddler will choose a longer paddle. For example, if you have a 36-inch-wide kayak, you would’ve picked a 230 cm. paddle using the old method of paddle sizing. However, your seat is four inches off the deck, and you are a low-angle paddler. A better kayak paddle length would be a 250 cm. paddle. In the same scenario, if you are a high-angle paddler, a better kayak paddle length would be a 240 cm. paddle. 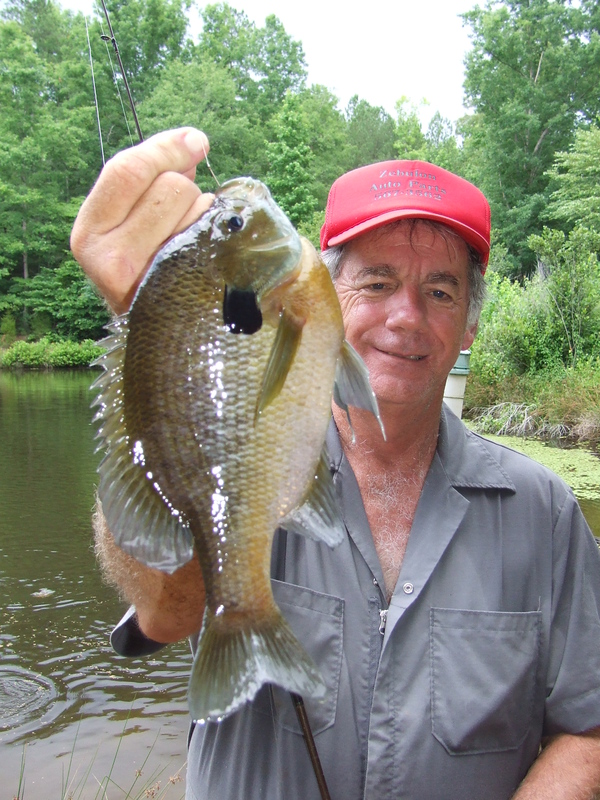 If you’re an angler who prefers to stand up while fishing, any paddle length will work if you are anchored. But if you plan to stand and move your kayak, a longer paddle will be needed to avoid bending over to get the paddle blade into the water. To avoid leaning down to grab your paddle off the deck, YakGear offers a kayak paddle hip clip so your paddle is always by your side – literally. Very few anglers pedal 100% of the time – there are always situations in which you’ll need a paddle. No product is perfect either, and if your pedal drive has issues, you’ll want to make sure your paddle makes it easier to maneuver the kayak. Most pedal drive kayaks are wider, have higher seating and are quite a bit heavier than a kayak that is designed for paddling alone. Picking out the right kayak paddle for a pedal kayak is therefore more important than choosing one for a paddle kayak. If your kayak manufacturer included a paddle with your kayak, it isn’t necessarily right for your height and the kayak itself. Your kayak paddle needs to be the right paddle for your needs. The more rigid the blade and shaft of your kayak paddle is, the more water it will push. In a 32-inch-wide kayak, with you and all your gear, you’re pushing quite a bit of weight through the water. Having a soft-bladed, bending paddle is like swimming with your fingers open – not a good idea. Kayak paddle shafts typically come in four different materials. In order of least expensive to most expensive, these materials are aluminum, fiberglass, carbon hybrid (half fiberglass/half carbon fiber) and solid carbon. Kayak paddles can cost anywhere from $40 to $400, but finding the best kayak paddle length for you – and the best combination to fit your budget – is the most important aspect of paddle shopping. Carbon fiber blades are the most rigid, but paddle companies are producing equally strong paddle blades using nylon composites. If you plan on using your kayak paddle as a tool to push off or pull yourself to shore, look for a rigid paddle blade that is designed to for this purpose. 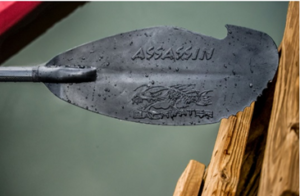 The Backwater Company Assassin Paddle offers great features and is a moderately-priced paddle with a carbon hybrid shaft and a stiff blade. Take the time to go to a “demo day” at a local kayak shop and try out different kayak paddles to find the one that is best for you. Ask someone to watch you paddle to see if you are a high-angle or a low-angle paddler. When you’re out on the water, it’s important to consider where you’ll be using your kayak and what type of fishing you are doing to choose a paddle that is just right for you. Bill Bragman is the President of YakGear, a kayak and boat accessory company located in Houston, Texas. Paddling for over 20 years has given him just enough knowledge to help other kayakers get out on the water safely and comfortably, while enjoying the amazing sport of kayaking that we all share. This entry was posted in boats and boating on April 13, 2019 by ronniegarrison.